سواءً كنت مسافراً بغرض السياحة أو العمل, Cumberland Lorne Resort هو خيار عظيم للإقامة خلال زيارتك طريق المحيط العظيم - خليج أبولو. يقع الفندق على بعد 0.1 km من مركز المدينة، ويؤمن الوصول إلى أهم مراكز المدينة. يوفر الفندق بفضل موقعة الجيد وصولاً سهلاً إلى أهم معالم المدينة.
. يقدم Cumberland Lorne Resort خدمات لا غبار عليها وكل أشكال اللياقة وحسن الضيافة اللازمة لإسعاد ضيوفه. يمكن الاستمتاع بمجموعة من الخدمات على أعلى المستويات في الفندق كمثل واي فاي مجاني في جميع الغرف, مرافق مخصصة لذوي الاحتياجات الخاصة, تسجيل وصول/خروج سريع, تخزين الأمتعة, واي فاي في المناطق العامة. تتضمن كل غرف النزلاء وسائل الراحة والتسلية المصممة خصيصاً لضمان الراحة القصوى للضيوف. صممت خدمات الاستجمام في الفندق والتي تتضمن مركز للياقة البدنية, ساونا, حمام سباحة داخلي, سبا, تدليك لمساعدتك على الاسترخاء والراحة. يحظى فندق Cumberland Lorne Resort بموقع ممتاز وخدمات يصعب منافستها. We checked into our 2 bedroom garden view apartment on 1 Feb and left the following morning to continue on our Great Ocean Drive tour. Checking in was smooth and fast at 5.00pm. Receptionist was friendly, very efficient and provided good tips for our return trip from Warrnambool back to Lorne. And on 3 Feb evening as we checked in again into the hotel with a similar type room booking, we were told of the room upgrade to a penthouse - a very pleasant surprise. However, upon checking out on 4 Feb morning, we were told of the need to pay for the difference in room price. Guessed there was a communication breakdown between the previous evening's permanent check in staff and morning's temporary check out staff. It would be a good help if the morning staff was alerted to the upgrade done. Overall, had a great time staying in Cumberland Lorne Resort. What a view! Great view from the balcony and very spacious rooms. Very central location right across the road from the beach and next to the pub. Schoolies was on when we stayed so it was very loud with music blaring from the pub, we slept in the lounge room one night on the fold out sofa. 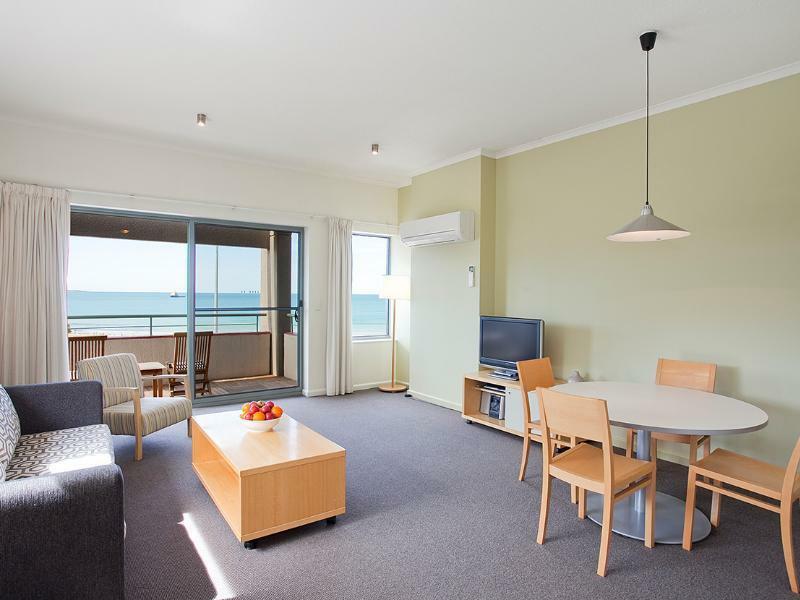 A great place to stay but not during Schoolies. 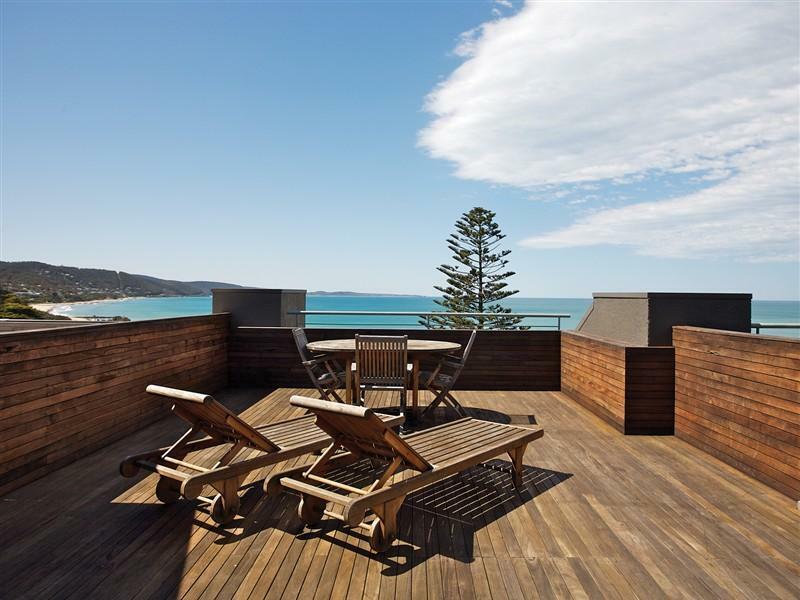 Lovely ocean view but need more work on the two bedrooms. One bedroom has no view at all, the other one has two kids size single bed... not suitable for adults to sleep (a little bit small) . I guess it’s great for a family with young children to stay. But we have 4 adults, well.. I have a slightly higher expectation of the place because of the picture in Agoda, but the place was okay.. the ocean view was nice, and there's lots of shops and restaurants just a walk away, though we got there during the Queens Birthday, and everything was closed.. Excellent Ocean view, nice staff and clean room, will definitely consider staying again. Loved staying here, great sized apartment with awesome balcony overlooking the beach and the Main Street. Will stay again, staff were lovely. We had a great time. The room was spacious and well equipped. The staff were fantastic. We barely left the hotel for 24 hours thanks to the games room and the swimming pool. We will be back. The wifi in the room didnt work and the hot water was not hot enough for a bath otherwsie perfect. That's a great experience in Cumberland. 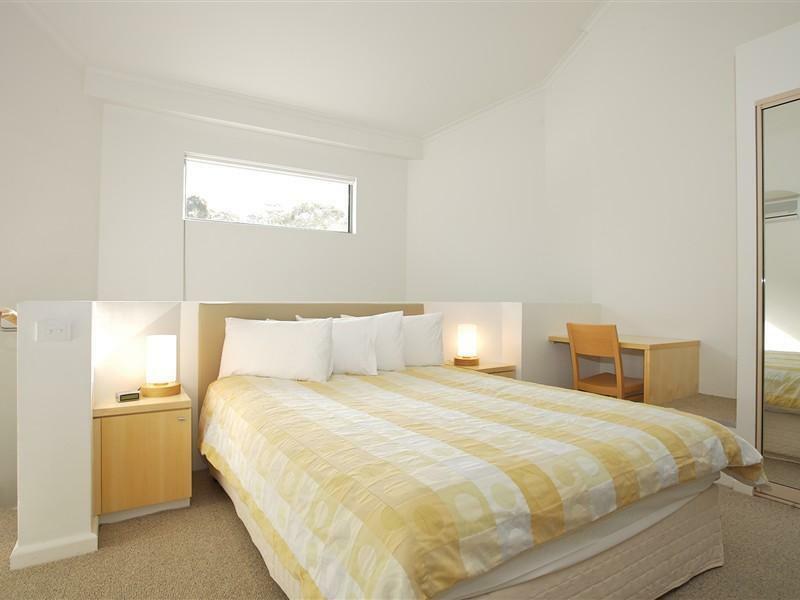 The room is really big for a couple with young kid, have bath top and all the laundry needs. Very convinence to walk in and out. Have DVD player which is good for kids. The resort is in a prefessional conditions. The Teddy Park is close to the hotel and surrounding there are lots of good food. Walk to the beach and nice view as well. Apartments are old and tired. Even the cooking utensils look like they’ve been there 20yrs. Appliances old. Poor lighting in bathroom - really dark actually. Hard beds. Resort was noisy day and night. Car parks so narrow it’s ridiculous. No staff to help with bags. So not worth $400/night. Not worth a penny over $220. Location good. Resort very outdated and needs a complete refurb. Our room was a lovely size with a beautiful aspect but was dirty and not properly serviced. Our fridge was dirty and had the previous guests wine and water left over inside. The general cleanliness of the room was poor and there was insufficient linen provided. We made do with a tea towel as a bath mat in the morning. The welcome present looked like the previous 10 guests had opted not to take it as we also did. Browning basil leaves ... no thanks! There was grime on the curtains in the bathroom. To top all this off when we provided feedback at the end of stay to concierge it was not welcomed and was avoided. The concierge almost walked away as I was advising of what had occurred and said that it was due to new staff and did not apologise. A great institution but needs to get with the times ASAP! Booked in for 3 people only to be told by Ashleigh at reception I had to make my own bed. She was rude to speak with.. She said the expectation of the Resort was I had to make it myself. So I asked to speak with the manager, and she hung up on me. So I waited to see if she would call back ... but no, so I called again, and she said we were cut off. Yeah right! The manager took over the phone call and said, we are sending someone up to make thebeds. I’ve never heard of paying top dollar at a Resort -where u make your own beds. Crazy! If I were management I would be having a quiet word to young Ashleigh about customer service . 1. 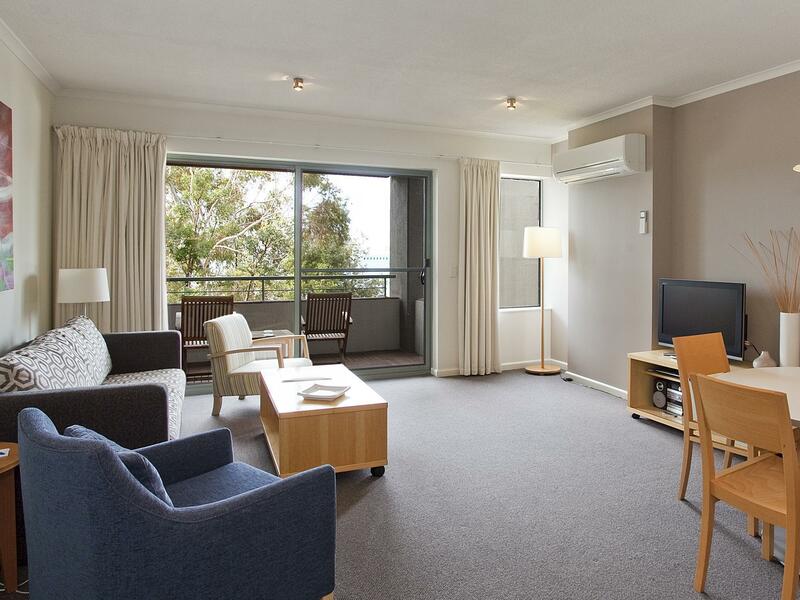 The location is superb, with a sea view, right in middle of the town centre and shopping strip. The reception staff are very friendly especially Emma and all are very helpful with our queries and requests for the best places to eat around the apartment and to visit. Must see the sunset next to the Pier Restaurant. The seafood there is excellent although a bit pricey, but well, the money is worth it for the excellent sea view and sunset experience and the excellent food. 2. The apartment is very clean with a well equipped full kitchen. Very surprised with the complimentary box of chocolates and a bottle of white wine. 3. The indoor pool is excellent for those who did not want the coldness of the sea. 4. The negative surprise is that the smaller bedroom with the 2 single beds does not have air-conditioning and it was quite stuffy and hot at night. Overall, a positive experience for my family. Left the apartment as it was. Strongly recommended! 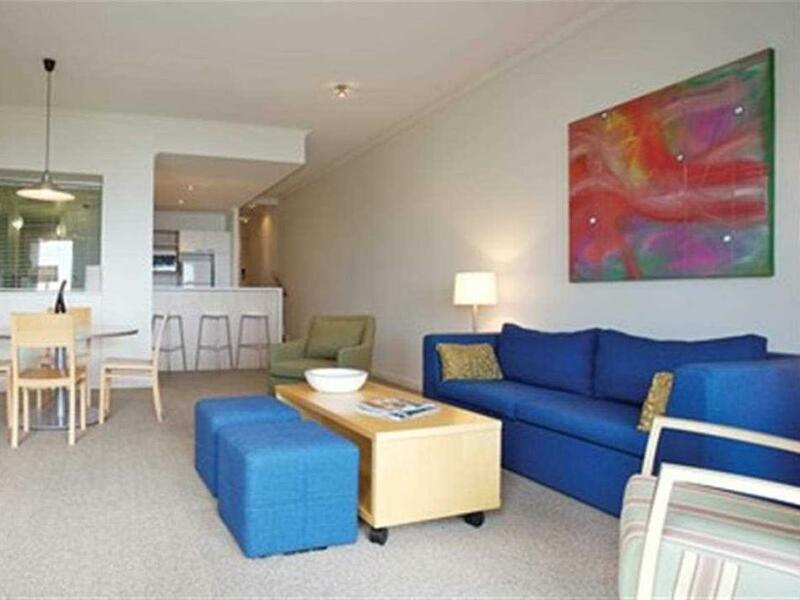 Location is great, right at the centre of Lorne with plenty of nearby shops and restaurants. The beach is just across the hotel. The room we booked was the garden view room which is spacious, and can accommodate 4 adults or 2 adults and 2 kids. The best part is the jacuzzi! Just perfect for couples. My family really enjoyed our stay. The 2 bedroom apartment was big and clean. The location is close to shops and restaurants. Just cross the street and you'll reach the beach. Staff was very friendly during check in and check in was a breeze.